A personal glimpse into Madrid, an experimental urban cityscape, an ode to life through a dance. 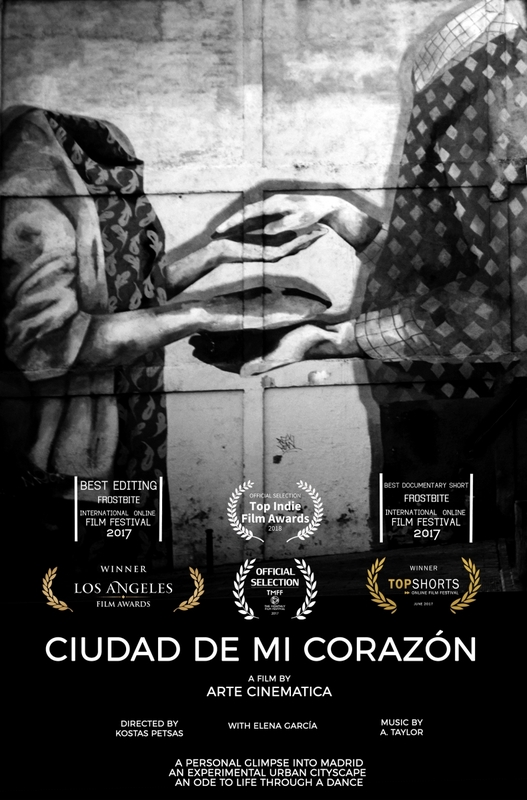 "Ciudad de mi corazón" is an attempt to do a short experimental documentary in the form of what could be considered as "street cinematography". This multi-award winning short was conceived, written and filmed all in one week in Madrid. Film original language is in Spanish but you can choose to have subtitles in English, Italian, Portuguese, Greek or Ukrainian.